From taxiing documents to mobilising a weekend wardrobe, these are the four bag styles every discerning gent needs. 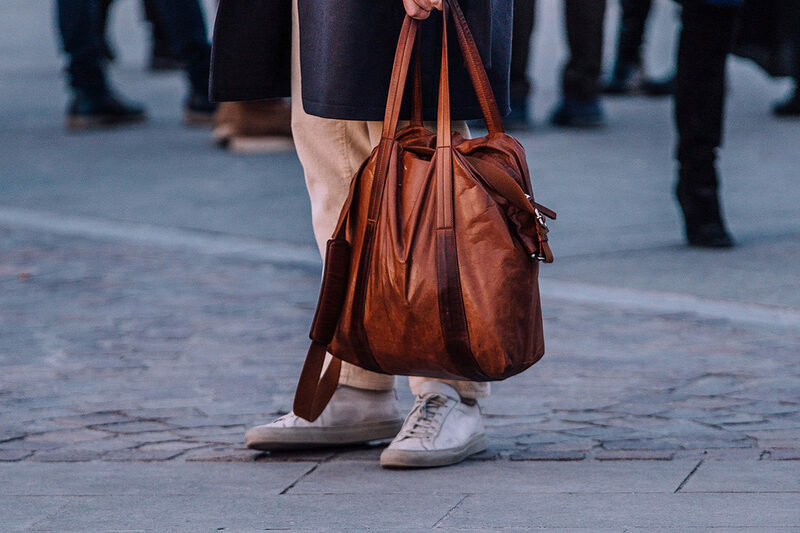 Far from being an encumbrance, bags have become a necessary extension of the modern gentleman's style. Necessary because on the one hand, they are a vital vessel for transporting our quotidian detritus from place to place, while on the other they serve a very important aesthetic function. One can be extremely adept at putting a look together, but leave the house with a mismatched bag and your exemplary styling starts to look rather silly. 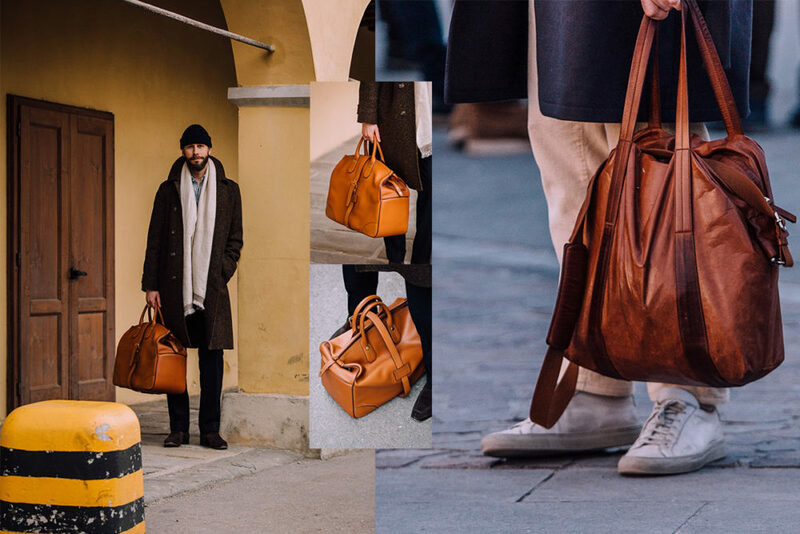 There are many different styles of bags, each serving a different stylistic and functional purpose, but the following four genres are the most versatile, adaptable and stylish we saw doing the laps of Pitti earlier in January. There's no nylon, logo-dipped monstrosities here, just beautifully crafted carry-alls with a classic aesthetic. 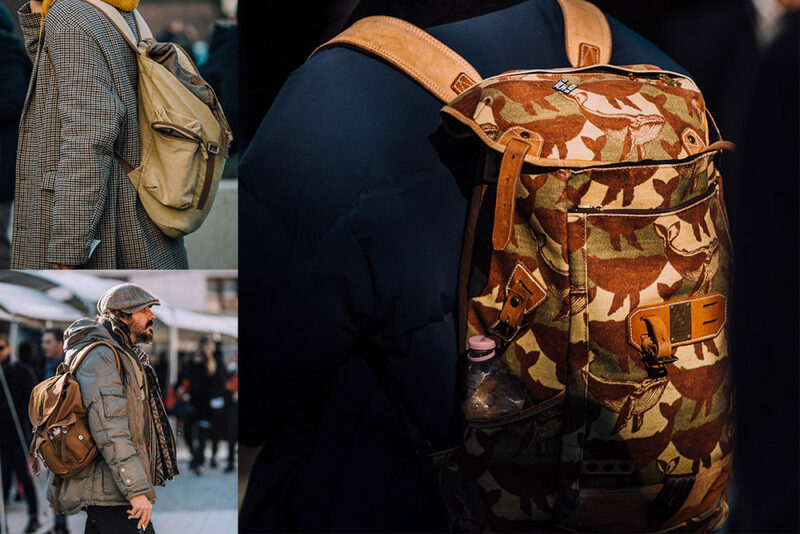 Taking a cue from military bergens, this season's most prized rucksacks come flaunting exceptional leather fabrications, hard-wearing canvasses and pockets' worth of functionality. 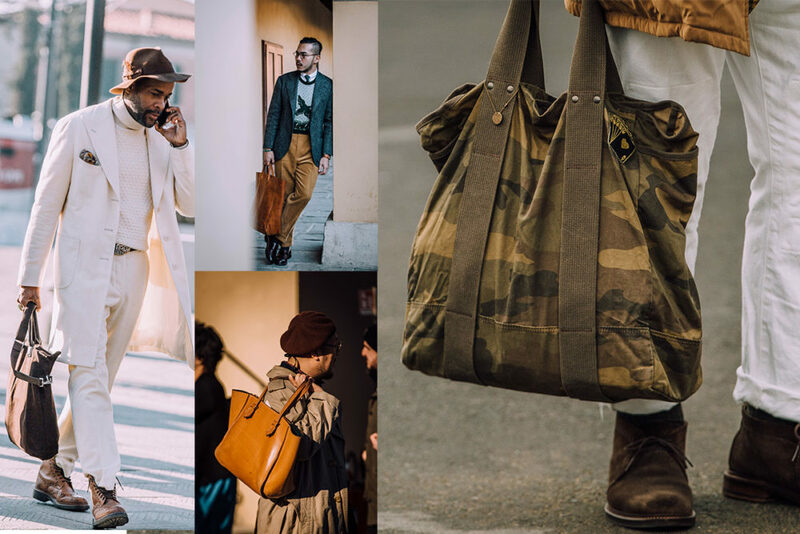 There were plenty of khaki iterations of the classic roll-top and top-flap backpack in Pitti, not least because it's a masculine-looking casualwear option but it can also give more formal garments a rugged militaristic edge. Certainly, the canvas styles have a more outdoorsy, Boy Scout vibe about them, but the more polished leather variations can look every bit as distinguished as a briefcase in the city. The Weekend holdall has really come into its own in recent years as a stylish alternative to the ubiquitous spinner case. Yes the spinner case might be easier to transport (if you're a weakling, that is), and yes, the hard shell may provide a little more protection to the contents inside, but as far as character, patina, and aesthetics go, spinner cases can go swivel, as it were. Discerning gents would be far better advised to invest in a leather weekender, which if cared for well, will not only last a lifetime but will accumulate all the stories of trips past in its ever-changing patina. Once upon a time, the tote bag was something septuagenarian ladies carried to the shops to top up on weekly grocery supplies, but nowadays it has become a vital part of a man's ferrying fleet. It's easy to see why: the modern tote is lightweight but sizeable and comes in infinite guises, from sophisticated leather styles to casual canvas models. 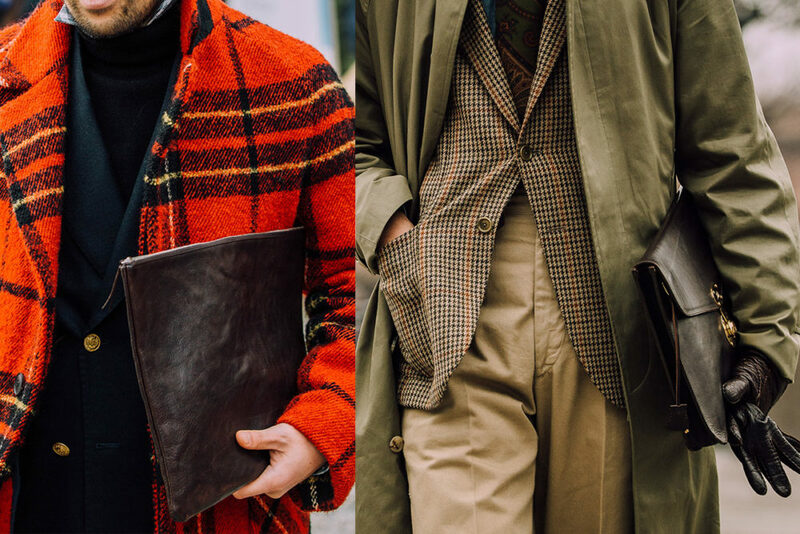 Naturally we favour the timeless approach, so opting for a style in tan leather will stand the test of Old Father Time, or opt for black in the city. Men and clutches? Who would have thought? While our collective wives and girlfriends have been embracing the unisex fashion movement by appropriating elements of the male wardrobe, it's a little harder for a man to pull off (or rather, put on) a dress. However, the clutch (let's call it a portfolio for the sake of argument) - historically a dainty bag carried by ladies - has been adopted wholesale by the menswear industry, and as you can see, it can look both chic and masculine to boot. Naturally, the bigger styles provide a more masculine aesthetic, but either way, the portfolio is an extremely useful addendum to your look, besides being a great vessel for the technological picnic that usually resides in your pockets.